Top Open  28 1/4" x 29 1/4"
Sophisticated in design and craftsmanship, this small piece merits large acclaim. 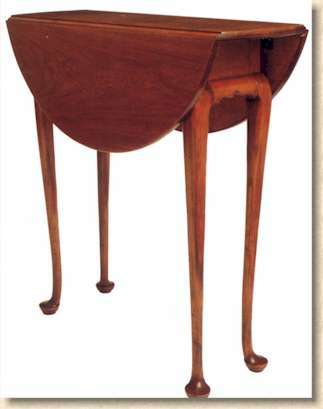 Having carved cabriole legs, swing legs, a dovetailed case, shaped and moulded aprons and a wonderfully proportioned drop leaf oval top. This piece looks great from any perspective, open or closed.